This is a rectangular M.C. Ice Cream porcelain sign. This particular M.C. Ice Cream sign is yellow with blue text. It reads, “M.C. 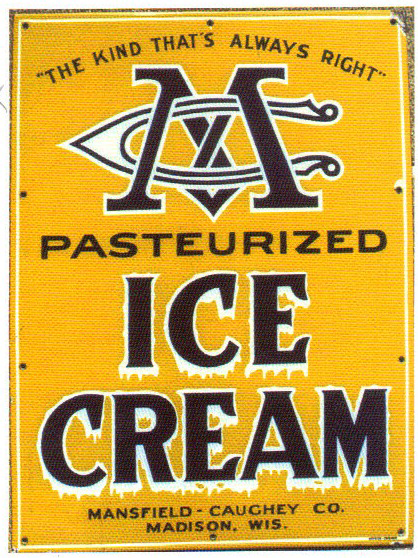 Pasteurized Ice Cream, The Kind That’s Always Right, Mansfield-Caughey Co., Madison, Wis.” and features a “M” and “C” at the top of the sign.